We support the Interfaith Community Food Pantry Inc. The Good news is that the Conemaugh Ministerium, which is made up of local churches here in the area, have worked together to keep the ministry going. They are now giving out non-perishable items to families once a month and each church takes a turn being the distribution center. A Board of Directors (individuals from the local churches) continue to work together to keep this much needed ministry. 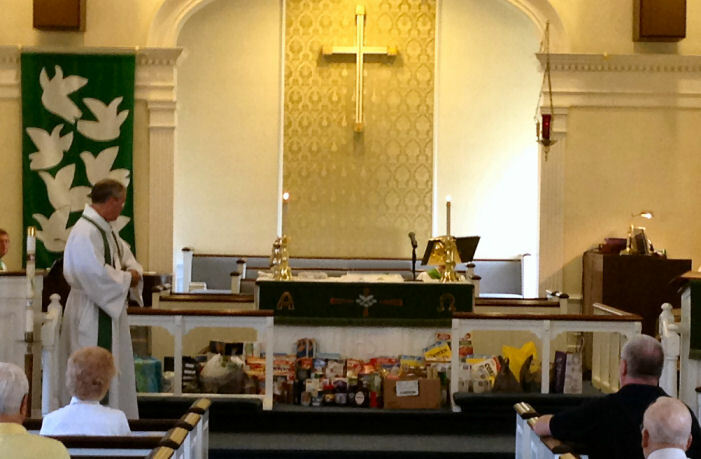 St. Paul’s dedicates the second Sunday of each month asking members to bring non-perishables in for this pantry. If you would like to volunteer please contact the Interfaith Community Food Pantry directly at 814-242-7910 (all calls will be returned so please leave a message) or you may call our church office at 322-1307 and let Pastor Kevin know. On one food Pantry Sunday we filled the alter and overwhelmed the food pantry volunteers that came to pick up our donations. Way to go St. Paul’s ! !